The Saxon town of Görlitz is called “Görliwood”, because it is one of the locations, among many others in Germany, where Hollywood film teams regularly shoot their films. Let’s take a look at where the Hollywood dream factory shoots in Germany – and why? When Hollywood is shooting a film on location in Germany, there is always a lot of media hype. A photo, for example, was taken in November 2014, showing Chancellor Angela Merkel alongside director Steven Spielberg and the main actor Tom Hanks on the Glienick Bridge between Berlin and Potsdam. They were making the film Bridge of Spies (USA / D India 2015), which is just one of many Hollywood films that have been partially or completely shot in the Federal Republic in recent years. As Spielberg's film deals with an exchange of agents in GDR times, the choice of film locations in Berlin and Potsdam-Babelsberg seems to have been logical. Frequently, however, international productions are also being made in Germany, some of which are not set in Germany at all. For example, the Zugspitze, Germany’s highest mountain in Bavaria, was used as the Finnish mountains in Big Game (Finland / GB / D 2014). In Oliver Stone’s Snowden (F / D/ USA 2016) about the eponymous whistleblower, a stretch of forest in Bavaria became the site around the Fort Benning military base in the US state of Georgia. 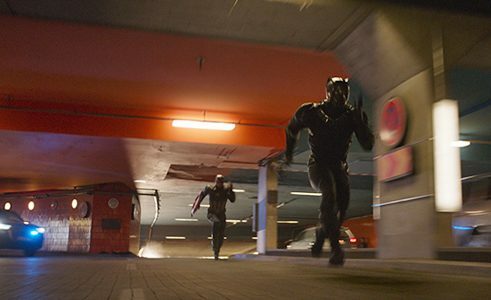 And in The First Avenger: Civil War (USA 2016), the Marvel super heroes get into all kinds of fights against the backdrop of Leipzig / Halle airport. Almost 20 of the film’s total of 147 minutes were shot either on the runway, in the airport's multi-storey car park or in the check-in area. Why, however, do Hollywood producers choose locations in Germany of all places? What makes the locations attractive? Eike Wolf, Director of Corporate Communications at the Babelsberg film studios, sees the reasons in a “mix of creative and economic factors”. German studios, film industry providers and studio specialists have a very good reputation internationally. More important, however, is the system of funding. A patchwork carpet consisting of both federal and regional funding agencies offers international producers the possibility to top up their budgets, if they, in return, move a part of their film production to Germany. For example, Quentin Tarantino’s war adventure Inglourious Basterds (USA / D 2009) was shot in Saxony, Berlin and Brandenburg and that added seven million euros from German subsidies to the 70 million US dollars it took to make the film. However, Wolf feels that the funding system still has some catching up to do. The important Filmförderfond / DFFF (the German Federal Film Fund) has not been further developed since it was initiated in 2007 and this has weakened the competitiveness of Germany as a film location on an international level. In Germany, a film can be funded with a maximum of four million euros the DFFF, in exceptional cases ten million euros. In Great Britain, on the other hand, film production can be subsidized with up to 40 percent of its budget and up to 30 percent in France. “This capping limit is a disadvantage for the location,” explains Wolf. Berliners avoid the gloomy pedestrian tunnel that was built in the 1970s. The orange-coloured tiles and columns are, however, attractive to look at. 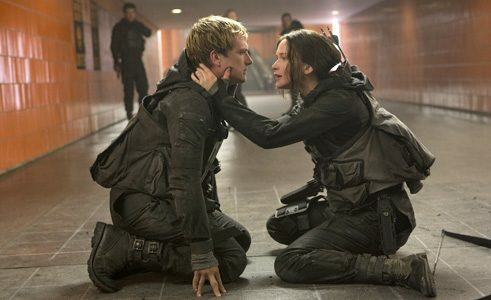 In The Hunger Games (USA / D 2015), director Francis Lawrence transformed the Berlin underpass into the underground of the Capitol. This is where the rebels, led by Katniss (Jennifer Lawrence) and Peeta (Josh Hutcherson ), fight their way through to President Snow. The Superhero group from Marvel's comic blockbuster also visited the Messedamm. 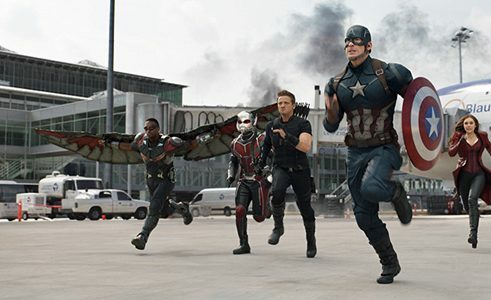 In this third Captain America adventure by Anthony and Joe Russo, a spectacular chase leads directly into the tunnel. Other scenes were also shot in Berlin, for example at the Sony Centre, the Olympic stadium and the Federal Press Agency. 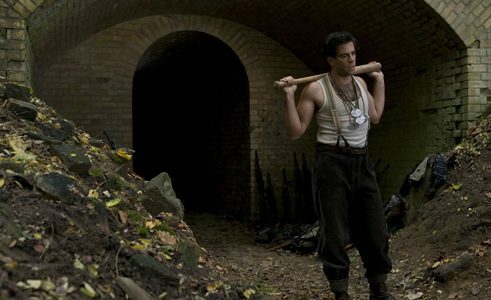 For Eli Roth’s great performance as the coarse “Bear Jew" director Quentin Tarantino chose the V-shaped ditch surrounding Fort Hahneberg in Berlin-Spandau. The vaults of the fortress, completed in 1888, also provided the setting for the prison cell, in which scenes were shot with the German actor Til Schweiger. 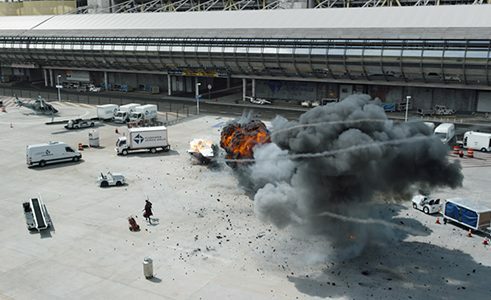 The main action scene of the science fiction film was filmed at Leipzig Airport, which director Anthony Russo described as an “incredibly fantastic playground for the fight between the Superheroes”. In order to avoid disrupting airport operations, some of the buildings were recreated at Pinewood Studios in London. The art nouveau building in Görlitz in Saxony was opened as a department store in 1913. It is one of the best preserved department stores of the early 20th century. Since 2009, the splendid building has been empty, but is expected to be reopened in 2017, once again as a department store. 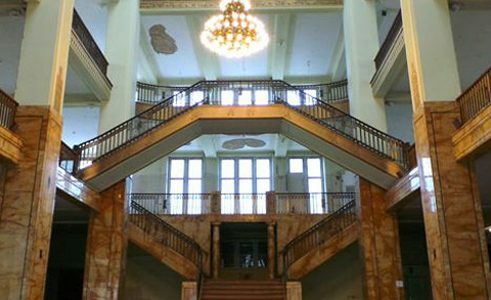 The abandoned art nouveau department store became the sumptuous hotel lobby in Wes Anderson's Oscar-winning nostalgic comedy. The facade was redesigned with digital effects. Since the beginning of the 20th century sulphuric acid and cement had been produced in this former chemicals works. In 1999, however, production was shut down. The derelict industrial plant with its two huge chimneys is an impressive backdrop for a film shoot. In The Hunger Games – Mockingjay, it serves as a set for District 8. 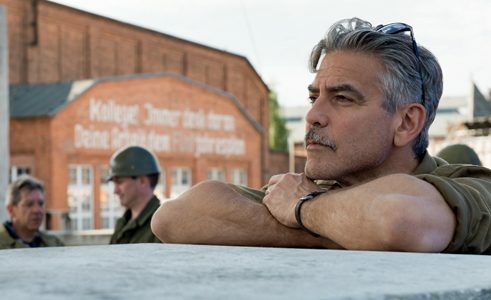 The rusty old factory ruins were also used in George Clooney's The Monuments Men (USA / D 2014). It is an epic film about a group of art lovers at the end of the Second World War who wanted to save art treasures from the Nazis and Clooney shot it almost exclusively in Germany. Far away from the cities and film studios, Germany has a variety of natural attractions to offer, such as the Zugspitze mountain region in the Eastern Alps. 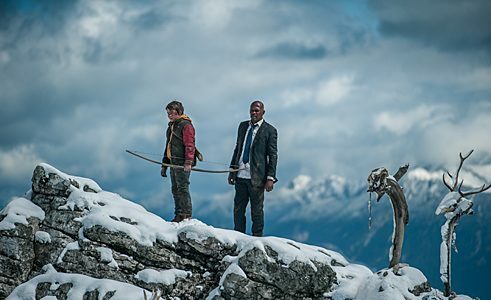 For the Finnish-German action film Big Game (2015) by Jalmari Helander the Zugspitze was used as a backdrop for the Finnish wilderness, where Samuel L. Jackson as US President on board Air Force One crashes and is helped by a local boy. A major part of Oliver Stone’s Snowden (F / D / USA 2016) about the whistleblower of the same name was shot in Munich. 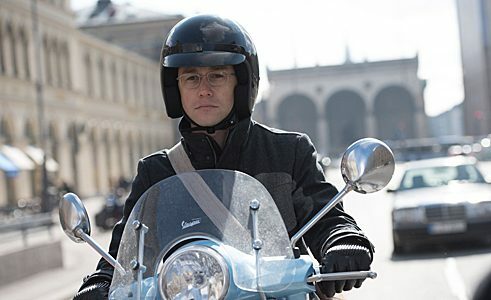 The street in Geneva, down which the leading actor, Joseph Gordon-Levitt, rides his scooter, is in reality Ludwig Strasse in Munich. Anybody who knows the city will be able to recognise the Feldherrnhalle on Odeonsplatz square in the background. Sylt is the largest North Sea island in Germany and especially known for the beach on its west coast that is almost 40 kms long. 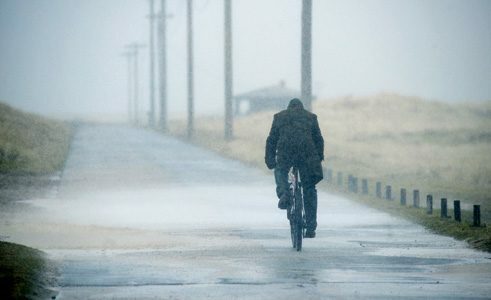 In Roman Polanski's The Ghostwriter (F / D / GB 2010), the plot is atmospherically embedded in the wide, open landscapes of Sylt. This political thriller with Ewan McGregor in the title role is actually set on the US island of Martha's Vineyard. For reasons of cost, however, and because of the legal prosecution of director Roman Polanski in the USA, it was filmed on Sylt, Usedom and the Danish island of Rømø. Antichrist (D, F, I 2009) with Charlotte Gainsbourgh and Willem Dafoe in the main roles is also set in the USA. The controversial psycho thriller, by the Danish director, Lars von Trier, was the director’s first film to be shot entirely in Germany. The fog-shrouded, ominously charged forested slopes of the Rocky Mountains were filmed in North Rhine-Westphalia, the German federal state with the best regional film funding scheme. 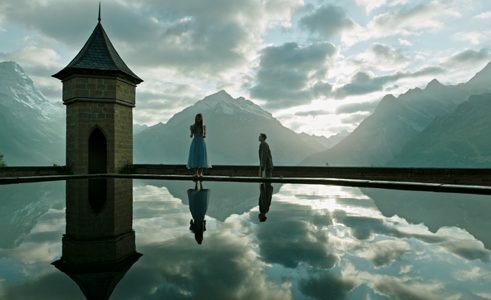 For this mystery thriller (D, USA 2017), the director of Pirates of the Caribbean: The Curse of the Black Pearl, Gore Verbinski, transformed Hohenzollern Castle into an exclusive spa centre with a swimming pool on the roof. There is, however, something not quite right about this luxury hotel. One of the major advantages Germany has to offer, especially for historical films, are its atmospheric original historical sites. For example, international productions are able to use real cityscapes such as a medieval half-timbered towns or buildings from the Nazi period, which would have to be elaborately copied elsewhere. According to a study by the auditing firm of Ernst & Young, most international films are filmed in Berlin and Brandenburg, where the filmmakers can make use of unusual locations, as well as numerous buildings of historical or cultural significance. 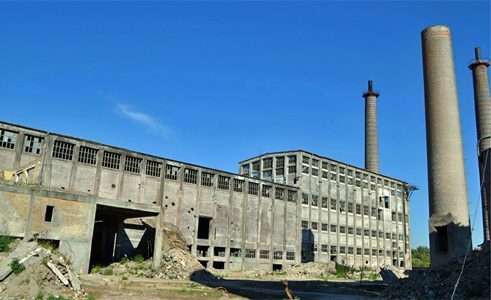 For example, telegenic motifs such as the Berlin Exhibition Grounds and the abandoned chemicals factory in Rüdersdorf in Brandenburg prompted the producers of The Hunger Games – Mockingjay: Part 2 (Francis Lawrence, USA / D 2015) to spend a few days shooting in Germany. The reputation of the longstanding Babelsberg film studios as a reliable service provider takes care of the rest. The quality of the service there might well cost more “on paper” than the competition from Prague or Budapest, says Eike Wolf, but the references of the crews and set designers are ultimately more important. Many creative people live in and around Berlin. Actors like Christoph Waltz, Daniel Brühl and August Diehl, who all performed in Tarantino's Inglourious Basterds, are now in demand all over the world. Another focal point is the state of North-Rhine Westphalia. This is where we find Germany’s largest regional film sponsorship coffer that has on average 35 million euros at its disposal. This was what prompted Danish director, Lars von Trier, to shoot his psychodrama Antichrist (DEN / D / F / Sweden / I / P 2009) there, although the story is actually set in the Rocky Mountains. A prime example of the attractiveness of German film locations is the small town of Görlitz, a small town in Saxony, whose old town with its listed buildings survived the Second World War. As a kind of open-air museum, Görlitz provides the perfect backdrop for historical films and war dramas. 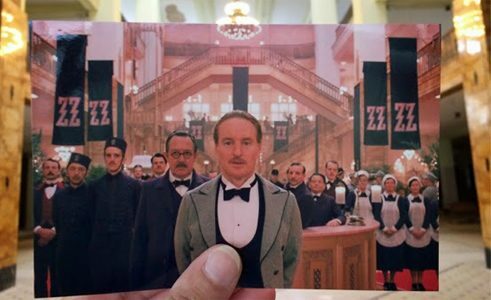 Wes Anderson's Grand Budapest Hotel (USA / D / GB 2014) was to a large extent created there. For Germany’s easternmost city, which in the meantime has the catchy nickname “Görliwood”, such film shoots naturally enhance both the city’s reputation and income. This marketing of a city as a location is known as location placement and, with a little luck, it can fortunately boost tourism. In addition, the crews of the Hollywood productions recruit specialists and workers from the German filmmaking scene. This exchange of cinematographic know-how with renowned directors can provide important impulses for Germany’s domestic film production. When Hollywood shoots in Germany, there are many advantages – for both sides. Christian Horn lives in Berlin and writes about films. Copyright: Text: Goethe-Institut, Christian Horn. This work is licensed under a Creative Commons Attribution – Share Alike 3.0 Germany license.